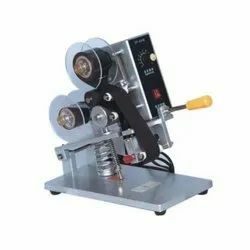 Our product range includes a wide range of ld-14b date coding machine, ld-24b manual hot foil coder, ink wheel bag coding machine, electrical date code printing machine and pneumatic ribbon coding machine. LD-14B Date Coding Machine. Our provided machine is exclusively manufactured using the best grade components and modern technology in compliance with the set industry standards. Offered machine is much-admired by our clients for its remarkable features such as easy to operate and smooth operations. Furthermore, clients can avail this machine from us at most reasonable price. 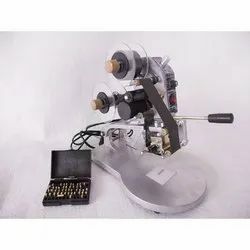 Our organization is widely acknowledged in this domain as the leading manufacturer, trader and supplier of an extensive range of LD-34B Ink Wheel Bag Coding Machine. This machine finds its best usage for printing labels on the surface of bag, paper, plastic film and aluminum foil. In adherence to the set industry standards, our provided machine is uniquely manufactured using high grade components and latest technology. Owing to its hassle free operations and long functional life, this machine is widely appreciated by our precious clients. 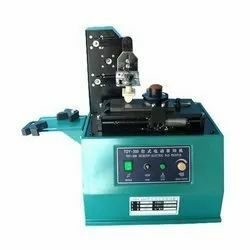 With an aim to establish ourselves among the leading organizations, we are engaged in trading and supplying an exclusive range of LD-101K Electrical Date Code Printing Machine. Our offered machine is widely acknowledged by our clients for its excellent performance and low maintenance features. 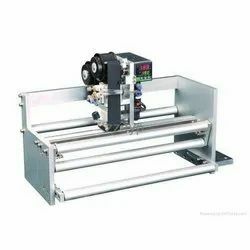 Equipped with all the high-tech machinery, our organization is engaged in providing the best quality range LD-101Q Pneumatic Ribbon Coding Machine.